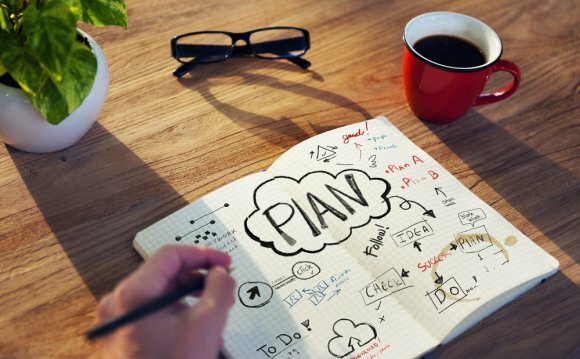 You need a good plan to put your strategy into action. You need to spend some time working on your business action plan. You also need to review what has been achieved. Your strategy and consequently your business action plan should stress three important aspects - Goals, Budget and Marketing Strategy. Setting realistic goals is the first and foremost step in developing an action plan. List all your goals. This includes the tools your business needs, the new customers you should get, etc. Arrange the goals in order of priority. Give a realistic timeline for each goal. For example, what goals do you plan to achieve in the foreseeable future; the next 3, 6 and 9 months, for example. The next step to develop an action plan is developing your budget. Make sure that your small business has a bank account. If your business is new, it may not be possible for you to make money for first few months. Decide beforehand how much of an investment you can make in your business. Then, draw up a list of all things that will require investment. Decide what expenses are the most important and will require money by priority. Last but not least - keep a record of all your expenses. This is very important for filing taxes and calculating your profits or losses. In your business action plan your marketing strategy should include a list of avenues that you are going to use for marketing your business. This can either be direct marketing or passive marketing avenues. Decide which avenues are better suited to your overall goals. Some marketing avenues bring quick results, while some others take time to work. It is always better to have a mix of two promotion strategies - short term promotions and long-term promotions - for better results. Direct marketing costs more money. So your business action plan should make judicious use of direct marketing methods. Keep a record of all your marketing campaigns and compare their results. This will help you identify the marketing options that are more effective for your small business. Use them more often to get better results. Get your website ready. Do passive web promotion for your business and use email marketing to promote your product or services. You can also use social marketing avenues to promote your business. Blogs are also an effective method of bringing targeted traffic to your website. Now that you have your strategy and elements of action plans sorted out, it is time to put your plan into action. Implement your action plan in terms of goals, budget and marketing strategy and see how each element of your actions plan performs.